If you know anything about robots, you know we’re not programmed to accept mediocrity. We aim for the stars every time, which means we give our all no matter how big or small the task. Truth be told, I hold RBBB’s site leaders to the same standards. After all, if we’re going to help solve Arizona’s literacy crisis, we’ve got to be better, right? 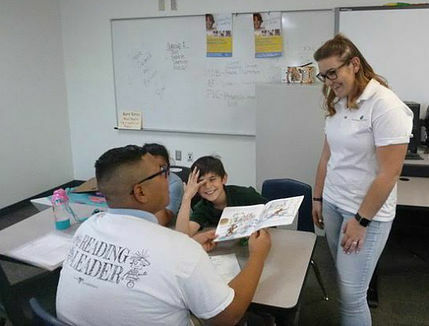 I recently spoke with one of our exceptional site leaders, Samantha Ness, who gave me some invaluable insight about what it’s like to be a site leader for RBBB, how this role is helping her as a student teacher, and the overall impact the program is having on her. 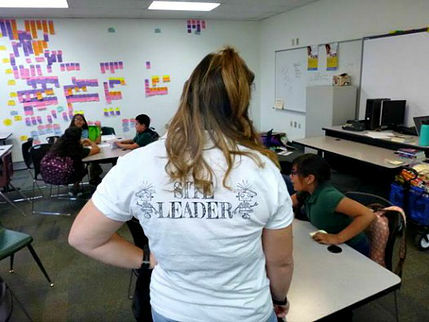 Student teachers make perfect site leaders. They’re passionate about education, they understand the power of a good book, and they’re dedicated to making a difference in children’s lives. Samantha is no exception. 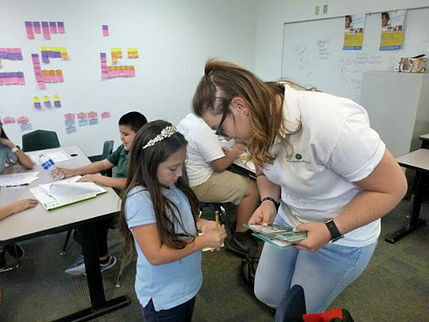 She knows how crucial a program like RBBB is – and how effective it is for these struggling students to get one-on-one attention from their Bigs. That last line sums up RBBB’s mission quite nicely, doesn’t it? The program is providing our Littles and Bigs with the tools they need to succeed, and site leaders like Samantha are the ones who ensure they’re putting them to good use. In school, Samantha is faced with hypothetical teaching situations. But through the RBBB program, she is able to get firsthand experience. Hearing those words sent an electric current up my central processing unit! 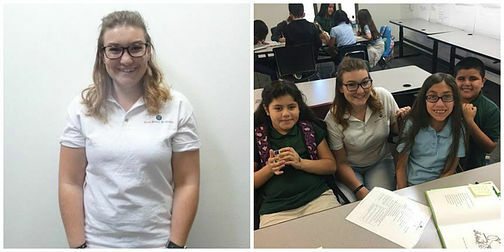 The RBBB program isn’t only beneficial for Littles and Bigs, it’s giving site leaders like Samantha the opportunity to turn their education into instrumental, firsthand experience. I’d like to send a big “thank you!” out to Samantha for sharing her story with me and for all her dedication and hard work as a site leader for RBBB. While student teachers make wonderful site leaders, you don’t have to be in education to join the RBBB team. Anyone who is passionate about education and literacy (and who has an affinity for robots) can apply to be a site leader (we’re hiring!) and make a difference in children’s lives through the Read Better Be Better program.